Announcing the start of a complete re-vamp of the Friends of Lighthouse Field web site! Visitors and new members, learn about the history of FOLF. The original issues are presented here with documents about past decisions by the city and state. A white paper is also online and will provide a context for what is happening today. All members will benefit from the ongoing announcements, ways to help and activities. Because the old site had become outdated in many areas, we’ve made the decision to replace it with a minimal new site. Please excuse areas that are still under construction. We’ll be providing enhanced content over the coming weeks. Sharing the Space: There is a huge unmet demand for off-leash space. A large percentage of households have dogs. Off-leash exercise is essential to canine physical health and also to maintain and enhance each animal’s good behavior. For many people, the time spent outdoors with a canine companion represents their most important recreational need. Off-leash exercise is compatible with other simultaneous multiple uses. 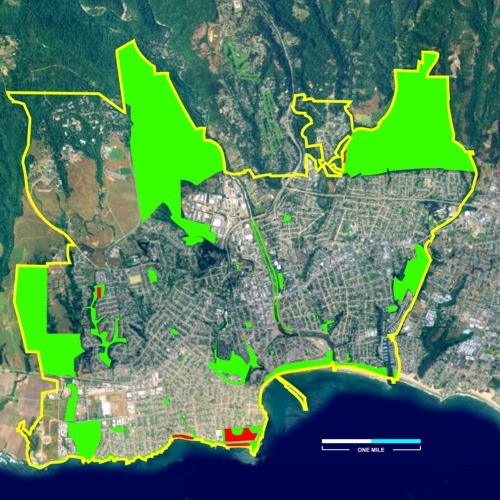 Hours and space should be expanded — only 2% of public open space in Santa Cruz is available for this use. Environmental Concerns: Dogs have minimal impact on environmental quality in this undeveloped urban open space, especially in comparison with other impacts. Off-leash exercise is totally compatible with the preservation of the Field and Beach. A few sensitive areas will have further protection under the updated General Plan, and the community supports these added protections. Safety and Fear: The record shows that off-leash recreation at Lighthouse Field and Its Beach has been exceptionally safe. By promoting a process called “socialization”, it actually reduces aggressiveness in dogs. Serious dog incidents rarely occur in parks — they usually occur in homes or near homes as a result of guarding or other factors not present in the park setting. In addition, this community activity enhances park safety in other ways. Compliance Issues: Considering the heavy use, compliance has been good and the community has been pro-active to make it better. Confusing hours are a problem, particularly for out-of-town visitors. There are other very serious issues in the park which are worthy of enforcement attention — alcohol, drugs, camping, litter, assaults, threats and so on. Dog issues are best addressed by engaging community resources to communicate and exert peer pressure. Community: A vibrant community has arisen around the Field and Beach. The community has actively engaged in stewardship of the park. This community wants to work cooperatively with the City to enhance the park for all users. This community should be embraced, not rejected. Friends of Lighthouse Field endorses three candidates for Santa Cruz City Council — Hilary Bryant, Lynn Robinson and David Terrazas. FOLF supports these candidates because of their willingness to actively support and champion the return of traditional off-leash recreation at Lighthouse Field State Beach as a low-cost, community-driven solution to restore a safe and secure environment in Lighthouse Field. We urge you to vote for Bryant, Robinson and Terrazas as candidates who have expressed their willingness to take active steps to investigate and pursue alternatives that would be most effective in restoring a vibrant community of people with dogs to improve safety and discourage drinking, drugs and vagrancy in the park. FOLF was pleased that all of the eight candidates expressed support for people with dogs at Lighthouse Field State Beach and acknowledged that illegal usage of Lighthouse Field for drinking parties, drug dealing and abuse and vagrant camping has increased dramatically since off-leash recreation was prohibited in 2007. FOLF made its endorsement decisions based on the candidates who best understand the complex issues surrounding the community’s use and enjoyment of Lighthouse Field and Its Beach. To facilitate our endorsement decision, we developed a detailed candidate questionnaire. FOLF board members spoke with candidates and asked follow-on questions to further clarify their stands. Each of the eight candidates for the three open council seats participated, giving extensive and thoughtful answers to all questions including their own personal experience at Lighthouse Field and Its Beach. Please read the detailed candidate responses. We look forward to continuing our work with the City Council and with the new council members! There is a huge unmet demand for off-leash space. A large fraction of households have one or more dogs. Off-leash exercise is the best form of exercise for a dog, not only to preserve physical health but also to maintain and enhance the animal’s good behavior. For many people, the time spent outdoors with a canine companion represents their most important recreational need. This important need is serviced by a tiny fraction of the public lands in the city of Santa Cruz. It’s not just about dogs, it’s about people. Off-leash exercise is a pleasurable outdoor activity for many people. Quite a few people view it as a mandatory requirement, necessary to carry out their obligations as responsible dog owners. It’s been proposed that off-leash exercise could be confined to a few unpleasant fenced-in areas. While some dogs could still be exercised in this way, such a solution would prevent many residents from enjoying outdoor beauty and their own healthful walks as they engage in one of their most important outdoor recreational activities. The amount of available space is very small compared to the need. Many people choose to have canine companions. 36% of U.S. households have dogs.1 Within the Santa Cruz city limits, there are over 1,800 acres of public open space. Of this space, only 2% is available for off-leash recreation. Since virtually all of the off-leash space is restricted to half-time usage, in effect there is only 1% available after accounting for restricted hours.2 Large parts of the remaining park spaces do not permit dogs at all, even on leash. See map on next page. The space is shared. The use of spaces like Lighthouse Field and Its Beach for off-leash recreation does not preclude other activities. A visit to the Field or the Beach during “dog hours” will find many other users — surfers, cyclists, hikers, bird watchers, kite fliers, sightseers — including people who don’t have dogs but enjoy the presence of dogs. It is true that some people dislike dogs or are fearful, and they may wish to avoid such areas. We recognize that off-leash dogs are not compatible with all uses. Nobody is proposing to make all parks “off-leash”. There are many nearby alternatives for persons who dislike dogs. For beach users, Cowell Beach is less than a mile from Its Beach. The Main Beach is just over a mile away. About 1-_ miles to the west is Natural Bridges, arguably the most beautiful and best-preserved beach in the city limits. For persons who wish to utilize neighborhood parks or to walk in areas of natural beauty, within less than a mile there are the Lighthouse Avenue Neighborhood Park, Garfield Park, Bethany Curve Greenbelt, and the Neary Lagoon Wildlife Refuge, not to mention the entire length of West Cliff Drive and the other beaches. Most of the off-leash space for the entire city is in Lighthouse Field and Its Beach. If we are driven out of the park, then 75% of our important recreational access will be terminated. Continue the successful off-leash access at Lighthouse Field and Its Beach. There is a huge unmet demand for such recreational space. The Field and Beach account for most of what is now available. Make off-leash areas available dawn to dusk. The shortage is intensified by the limited hours available. Provide signage at all parks where off-leash dogs are allowed to indicate nearby no-dog areas. This helps guide persons who may prefer to avoid dogs. Reduce pressure and meet public needs by creating additional off-leash areas. Lighthouse Field and Its Beach might be less heavily used if the severe shortage of off-leash recreation areas were to be addressed with a few additional spaces. Work with community organizations, such as Friends of Lighthouse Field or others, to successfully manage any new spaces. Community support should be harnessed whenever possible to address any potential problems before they occur, and to ensure that any added spaces remain friendly, safe and accessible for all users, including those without dogs. 1 U.S. Pet Ownership & Demographics Sourcebook, 2002 Edition, American Veterinary Medical Association. 2 Park area estimates are based on the City of Santa Cruz electronic map layers supplied by the city GIS coordinator on April 22, 2003. Acreage was derived from the “Parks” layer, with additional information from the “Zoning” layer to estimate Beach and State Park areas. Certain areas are not defined in the mapping files and have been estimated as closely as possible. DeLaveaga Golf Course is included as public open space. The yacht harbor is not included as public space. The Lighthouse Field area is from the revised General Plan document. The off-leash acreage assumes implementation of the protected areas defined in the revised General Plan document. The facts show that off-leash access at Lighthouse Field and Its Beach has been exceptionally safe and trouble free. The strong sense of community at the Field and Beach will continue to minimize possible problems. The continued presence of such a cohesive community in the park also reduces other common park problems, such as vandalism, drinking parties or assaults. Dogs are loyal, loving and playful. Substantial portions of the population enjoy having dogs as household companions. At the same time, a few owners can be irresponsible, resulting in some dogs that are aggressive. Serious and often well-publicized dog incidents occur, although rarely in parks.1 Some people have a fear of dogs or simply dislike dogs, and do not wish to be near dogs, especially off-leash dogs. Much opposition to having any off-leash recreation areas has been driven by fear and antipathy rather than by facts. Serious dog incidents at Lighthouse Field and Its Beach are not happening. We requested the official Santa Cruz Police Department “calls for service” records for Lighthouse Field for the past year. They provided us with April 3, 2002 to April 26, 2003, about 13 months. In this time there were only three calls for service related to dogs. None were prompted by dog aggression — all three were for stray dogs.2 The Santa Cruz Fire Department (which provides emergency medical and rescue services) also checked their incident list for the same period. According to Deputy Fire Chief Matt Tracey, on October 21, 2002, a dog got its paw caught in a car door. (The dog was OK without dispatch of emergency services!) No other incidents were reported. If there were any other incidents during this time, they were not serious enough to be worth reporting to the Police or Emergency Services. This is only a snapshot of 13 months, but it demonstrates a positive and safe pattern. The previous year’s report shows a similar picture. False information has been provided regarding the occurrence of incidents at Lighthouse Field and Its Beach. At the City Council meeting on April 22, 2003, during public comment regarding Lighthouse Field, a member of the public said that there “have been a hundred, according to the SPCA, dog bites in 2001…”3 We checked with the Santa Cruz County Animal Services Authority (who have taken over the SPCA’s animal control responsibility and records.) A representative stated that the SPCA could not possibly have given this statistic, since it does not exist — they do not record the place of an incident in their data.4 They only record the address of the animal’s owner and the address of the person making the report. So this “100 bites” number was simply invented. Animal Services is not aware of any epidemic of dog bites at the Field or Beach. There were zero police and fire/EMS calls that were actually recorded in the past year for dog bites. This would be highly unlikely if such a high number of bites had actually occurred. Other similarly dramatic statements have been made previously, and they were equally misleading. Of course, there should be continued focus on reducing all types of injuries, but the risk of injury from dogs in parks is small, and well below the level of risk accepted for other common recreational activities. Banning responsible community members from the Field and Beach will not stop the irresponsible. The city has few resources for enforcement. If there are any problems with aggressive dogs, it will often be associated with aggressive and/or irresponsible people. People who are irresponsible about their dogs — and these cause most dog incidents — will ignore the rules. And the absence of a responsible community in the vicinity will make things worse. Removal of responsible community members in the Field and Beach will remove peer pressure which is the best assurance of good behavior. There is a large community of users who set a good example and who exert peer pressure to keep potential problems under control. These people have demonstrated a commitment to the Field and Beach. They watch and know what is going on around them. The community which forms around off-leash dog exercise helps keep parks and beaches safe in other ways. The same police data which showed no serious dog incidents also showed 228 other incidents at Lighthouse Field in the same period. Some of these were very serious, including threats and assaults. Areas of the Field are troubled by illegal camping, drinking parties, drug use and other abuses and threats. The Beach sometimes sees heavy drinking and fights. Nevertheless, the Field and Beach are considered to be very safe. We believe a significant contribution to safety is the active and continuous presence of a coherent community. Starting at sunrise and ending at sunset, community members gather in the Field and Beach. They come daily. They know each other. They represent a cross section of the larger community. They watch and know what is going on around them. Will the Field and Beach be safer — or more dangerous — if these community members are driven out? Fear and dislike of dogs will not disappear. We know that some people will never like dogs, and to have some fearfulness about dogs is not irrational. We therefore do not propose that all parks or beaches should allow off-leash dogs. Many should not, and some should not allow dogs at all. This fear should not banish people with dogs from having at least some off-leash area — and not just a gravel lot or a fenced in corral, but the opportunity to fully enjoy an outdoor recreational experience. Continue the successful off-leash access at Lighthouse Field and Its Beach. For the reasons explained above, this reduces the risks associated with dog aggression, and makes the Field and Beach safer places for all. Ensure clear signage at all parks where off-leash dogs are allowed. This helps guide persons who dislike dogs. The signs could also indicate the nearest no-dog or no-off-leash areas. For example, at Its Beach a sign might point the way to Cowell Beach, Main Beach, or Natural Bridges. Make off-leash areas available dawn to dusk. This reduces enforcement issues and reduces confusion and possible conflict about when dogs will be in the space. It will also spread the usage during the day, possibly making the areas more comfortable for those who don’t particularly like dogs. Work with community organizations such as Friends of Lighthouse Field or others to educate park users on reduction of problems and risks. Existing community support should be harnessed whenever possible to address any potential problems before they occur. 1 The Laboratory Centre for Disease Control, a branch of the Canadian national health agency, conducted one of the most comprehensive and widely cited surveys of injuries due to dog bites in the research literature (CHIRPP Injury Reports, 1998). The authors of this study searched the national database of all reports of injuries throughout Canada during 1996. They data showed that 3.1% of dog-related injuries occur in public parks. 84% of injuries involved dogs of the family or friends (considering only the injuries for which this information was recorded.) 78% of injuries occurred on or around a residence (again considering only the injuries for which this information was recorded.) Sacks JJ, Leslie Sinclair, Julie Gilchrist J, Golab GC, Lockwood R, “Breeds of Dogs Involved in Fatal Human Attacks in the United States Between 1979 and 1998″, JAVMA, 2000:217(6), September 15, 2000, estimated that 75% of all fatal attacks occurred on the ownerÕs property itself. Certainly others would have occurred near the ownerÕs property. 2 Police calls for service reports and Fire incident reports are matters of public record, and reports may be obtained from the appropriate departments. Lighthouse Field appears in the data as the address 701 West Cliff Drive. 3 The remark may be heard on Tape 1, P.M. Session, Santa Cruz City Council meeting of April 22, 2003. 4 Personal communication with Santa Cruz County Animal Services Authority representative. 6 The Centers for Disease Control and Prevention Injury Fact Book 2001Ð2002 indicates a total of about 800,000 people per year seek some kind of treatment for bites. Of these, 368,557 persons visited an emergency facility during 2001 and were recorded in the Centers for Disease Control and Prevention Web-based Injury Statistics Query and Reporting System (WISQARS). [Available from: URL: www.cdc.gov/ncipc/wisqars. Data queried 2003 May 16]. The 2001 U.S. population is indicated as 277,802,586. 7 Bicycle injuries from Centers for Disease Control and Prevention Web-based Injury Statistics Query and Reporting System (WISQARS) [Available from: URL: www.cdc.gov/ncipc/wisqars. Data queried 2003 May 16]. 8 In a 25 year period reported by Sacks JJ, Sattin RW, Bonzo SE. “Dog bite-related fatalities from 1979 through 1988.” JAMA 1989;262:1489-92 and Sacks JJ, Lockwood R, Hornreich J, Sattin RW. “Fatal dog attacks, 1989-1994.” Pediatrics 1996;97:891-5, there were 279 fatalities over the 25 year period, or an average of less than 12 per year. Since the numbers are small, they vary quite a bit from year to year. The Centers for Disease Control WISQARS system does not record fatalities due to dogs, as they do not include such rare causes. The Centers for Disease Control and Prevention Injury Fact Book 2001Ð2002 indicates approximately 15 deaths per year over the previous 20 years. The Humane Society of the United States also tracks such information, and estimates that 10 to 20 people die in a typical year. 9 Leading animal behaviorist Dr. Nicholas Dodman of the Tufts University Veterinary Center has described how the increasing lack of off-leash space is probably increasing the number of dog behavior problems. In his interview in The Bark, Summer 1999 he talks about the need for off-leash exercise to maintain not only the dogÕs physical health but also its behavioral health. 10 See www.akc.org/love/cgc/index.cfm for details. Lighthouse Field and Its Beach are beautiful undeveloped urban open spaces. This wonderful park provides a “natural” setting, but it is neither a wilderness nor a native habitat. The character of the park is nevertheless worthy of protection, and preservation of the area has been a Santa Cruz priority for years. A number of environmental arguments have been presented which portray dogs as the primary and sometimes the only cause of environmental concern. After looking at both the broader neighborhood and urban context in which the park exists, as well as at the detailed site-specific conditions, it is clear that there is no significant conflict between the presence of dogs off leash and the preservation of Lighthouse Field and Its Beach. Issues related to dogs are negligible compared to other impacts. The people who use Lighthouse Field for recreation with off-leash dogs are strong supporters for maintaining the undeveloped character of Lighthouse Field. Lighthouse Field is surrounded by densely developed residential neighborhoods on three sides, and bounded by Pelton and West Cliff Drive on the north and south sides. There are many entry points to the field and numerous footpaths criss-cross the acreage. Crossing the heavy traffic on West Cliff Drive, the coastal cliffs of Its Beach serve to separate the beach from street traffic and activity above on West Cliff Drive. What used to be natural drainage channels through the areas north of Pelton have been landscaped, built, and paved over — the water coming into the field now comes primarily from surface street runoff. The Lighthouse Field and Its Beach area (together known officially as Lighthouse Field State Beach — LFSB) has been subject to major human impact and modifications for generations. The field appears to have been used for agricultural purposes during the second half of the 19th century. In the late 1800’s, it became part of the Phelan Estate and supported extensive buildings, gardens, lawns, Eucalyptus trees and Monterey Cypress.1 In the 1960s, a large apartment complex was built at the west end of the Field, and, as is well known, the community rallied in the 1970’s to protect the park from further development. Currently, most of the existing vegetation is non-native, while the native vegetation that can be found there is mostly — if not entirely — due to restoration attempts that have occurred with little success since 1990. 2 Off-leash dogs have been a presence in the park for many years, officially allowed since 1993, and traditionally for many years before that, according to local residents. Before attempting to address the impact of any particular use on the field, it is essential to bear in mind the enormous degree to which the surrounding neighborhoods have been increasingly filled in and built up between the 1960’s and the present time. The two aerial photos (to the right) of the Lighthouse Field neighborhood from 1961 and 2001 illustrate the loss of open space around the park, creating more and more of an island of green, in the suburban neighborhood. As more homes, apartments, schools and other structures have been built in this West Side neighborhood, the park has become completely cut off from other green, open spaces, with huge increases in traffic, parking, human activity and noise. The park provides us with a natural setting for a wide range of recreational activities — on any given day people use the park for walking, jogging, biking, congregating with friends and family, drumming, sunbathing, kite-flying, beach-combing, picnicking, relaxing, and for access to beaches for surfing. All of this activity, taken as a whole, has considerable impact. In addition, a number of high-impact illegal activities occur in the park, including littering, drinking and camping. In light of the park’s urban setting and long history of varied usage, it is extremely difficult — and in some matters, impossible — to isolate the impact of any single particular factor when attempting to assess the status of the habitat or of the flora and fauna found there. There is no credible evidence that off-leash dog use adds significantly to the disturbances that the surrounding urban area and general activity levels impose on Lighthouse Field and Its Beach. Many of the concerns that have been raised about off-leash dog activity are worthy of consideration, while others have been based on speculation, misinformation or false assumptions. In the following pages we present the information we have gathered in response to these questions. This information is specific to Lighthouse Field and Its Beach, and is grouped into concerns about sensitive habitats, about special status species, about common or non-endangered species, and then about some of the issues responsible dog owners should be concerned about. Monarch Habitat — Parks and Recreation staff has called for restricting access to the Monarch Roosting Grove to ease impact of park activity on roosting butterflies, and to evaluate habitat enhancement. (Please refer to the Special Status Species section below for further discussion of Monarch Butterflies). FOLF supports the recommendation of Parks and Recreation with regard to this area. Willow Riparian Area — Parks and Recreation staff have repeatedly stated that their concern for the Willow Riparian Area stems as much from human activity as from dogs. People using the cover of the willows for partying and camping leave behind trash, human waste, and drug paraphernalia. The resulting degradation is a major factor in the General Plan recommendation that access to the corridor be restricted for both humans and dogs. FOLF supports reasonable measures to enhance this habitat. Preservation and Restoration — In the General Plan, the Parks and Recreation staff, with State Park support, recommended that restrictions and restoration activities focus on vulnerable areas which are most likely to respond to additional protection: the Willow Riparian Area and the Monarch habitat. Minimal priority is given to attempts at reintroducing native coastal meadow species in the rest of the park, which has been generally unsuccessful in the past. Fencing — Fencing may be used to delineate restricted access areas in both the Monarch Grove and the Riparian Corridor. Both people and dogs would be restricted to designated paths in these two areas.5 Banning off-leash dogs from the entire Field would do nothing to address the habitat damage that results from human use, nor would it alleviate the need for fencing. Birds — a survey done for the 1984 General Plan found 119 bird species at LFSB.17 A similar survey in 2002 found 140 species18. Bird diversity seems to be increasing even with the off-leash dog policy. No population census for birds at LFSB is available. Sea Lions — Referencing the work of Dr. Jim Harvey, a concern was raised that dogs can carry a disease that can affect sea lions (leptospirosis). When contacted, Dr. Harvey stated that the sea lions would need to come up on the beach and interact with the dogs on the beach for the disease to be passed.19 Sea Lions seldom, if ever, use Its Beach as a haul out location, preferring Seal Rock just off Lighthouse Point. Ducks — There are anecdotal claims that there used to be more ducks at Lighthouse Field. These claims have never given specifics on how long ago ducks might have occurred at the field, or any detail on species or numbers. Given the previously cited changes in the configuration of the drainage ditch, building and infill over various seasonal ponds both in the current park boundaries, and in previously open spaces around the park. If there were more ducks previously, it is not unreasonable to assume that neighborhood growth might be a large factor in wildfowl changes. Quail — The situation with quail is similar to that of ducks. At one time there may have been more quail in Lighthouse Field. Given the surrounding urbanization and limited habitat area, quail in Lighthouse Field are unlikely to be common, regardless of the status of dogs in the park. Vegetation — Parks and Rec. staff could not find sufficient baseline information from the past to compare to the present. Reports indicate that restoration attempts made throughout the 1990′s had some small success at re-establishing native species, with especially poor success in the grassland areas.21 This experience forms the basis of staff’s current recommendations to focus on the Willow Riparian Area and the Monarch Grove, as outlined in the LFSB General Plan. FOLF and the larger community of off-leash users of the park have been at the forefront in educating the public on the necessity of picking up after our dogs. For many years the dog community has sponsored regular cleanup days in the field and the beach, in partnership with park staff. Since FOLF formed in 2002, we have sponsored these regular cleanup days in the field and beach, again with collaboration and supplies from park staff; we have also gotten staff approval to set up a new program to stock the cleanup stations throughout the park with recycled plastic grocery bags. Recently we have organized regular Sunday afternoon cleanups at Its Beach to address the heavier weekend use in warmer weather. This includes both trash and dog feces, including what is left behind by our many out-of-town visitors, who are often unfamiliar with the regulations and expectations of the Santa Cruz community. FOLF intends to continue to expand its efforts at public outreach and education. The value we place on our access to the field and beach encourages us to take special care of this precious resource. Much of the compliance with cleanup regulations grows directly out of the attachment we all have to this park as a place that we can enjoy with our dogs off leash. The majority of owners whose dogs are likely to chase birds or to dig are aware of their dog’s tendencies and do monitor and control their dogs’ activity. This is an area that is appropriate for more public education efforts. The research that we have presented on the environmental impact of off-leash dog use at Lighthouse Field State Park indicates that off-leash dog use does not contribute significant additional impact on the habitat and wildlife at Lighthouse Field State Beach. With responsible dog ownership and the FOLF community’s continued leadership, education efforts, and peer pressure, there is no need to further restrict or ban off-leash dogs at Lighthouse Field and Its Beach. Continue the successful off-leash access at Lighthouse Field and Its Beach. The benefit to the community is large and the environmental impact is minimal. Continue to keep the Field and Beach as undeveloped areas. The community of people with dogs cherishes undeveloped open space. We support maintaining the undeveloped open character of the Field and Beach. Work with community members to educate and foster environmental protection, based on reasonable expectations. For example, the voluntary cooperation with the Monarch area protection has been excellent. Rather than building high fences or stopping all access to the park for everyone, education and communication with community support will go a long way. The FOLF community stewardship proposal is one mechanism that could be considered. Focus protection on the highest impacts. If there are problems at the Field or Beach, it’s not because of dogs. There are many important issues that need attention. We fully support protecting the character of the Field. 1 Lighthouse Field State Beach General Plan Update Draft. January 2003. Section 2.2.3 Biotic Resources (intro) p.13. 2 “Most of these scattered native grasses and wildflowers are remnants of past seeding and planting efforts conducted in the 1990s.” p. 14, Lighthouse Field State Beach General Plan Update Draft. January 2003. The Plan references three reports from 1995 and 1996 restoration programs, prepared for the Santa Cruz Consolidated Emergency Communications Center. 3 Lighthouse Field State Beach General Plan Update Draft. January 2003. Section 3.3.4 Willow Riparian Management Area p.53. 4 Two reports were commissioned by the Parks and Rec. staff, one to survey existing wildlife populations, the other to survey plant and vegetation populations at Lighthouse Field State Beach. 5 Lighthouse Field State Beach General Plan Update Draft. January 2003. Section 3.3.3 Monarch Butterfly Management Area p.53, and Section 3.3.4 Willow Riparian Management Area p.54. 8 Berger and Dayton, ibid. 9 Bryan Mori. July 2002. Wildlife Assessment Lighthouse Field State Beach. Prepared for the City of Santa Cruz. 14 “Most of these scattered native grasses and wildflowers are remnants of past seeding and planting efforts conducted in the 1990s.” p. 14, Lighthouse Field State Beach General Plan Update Draft. January 2003. 16 California Native Plant Society, Plant Inventory Online, ibid. 17 Lighthouse Field State Beach General Plan. 1984. p. 26. 18 Lighthouse Field State Beach General Plan Update Draft. January 2003. p.18. 19 Dr. Jim Harvey, personal communication with Laura Hartwick. April 2002. 21 Lighthouse Field State Beach General Plan Update Draft. January 2003. Section 2.2.3, p14. The Plan references three reports from 1995 and 1996 restoration programs, prepared for the Santa Cruz Consolidated Emergency Communications Center. 23 Historical data both from the county and from Surfrider’s has been reviewed by FOLF members, and multiple emails have been exchanged with Steve Peters of the County of Santa Cruz Environmental Health Services, all leading to these conclusions. Separately Parks and Rec. staff planner, Susan Harris did a similar review, and provided Parks and Rec. Commissioners with a similar assessment in an informational memo for the July 1, 2002 Parks and Rec. Commission meeting. Within Santa Cruz and extending into the greater region, there is a large community of people who cherish Lighthouse Field and Its Beach for both the natural beauty and the ability to enjoy this environment with their canine companions. This community, who walk their dogs off-leash in Lighthouse Field State Park, was formed out of this common interest. Over the years people became acquainted with one another—often learning the dog’s name first. Over time, acquaintances became friends. Friends began to meet at the field or the beach each morning and each evening to walk together while their dogs enjoyed some off-leash time. The tradition of gathering as friends, acquaintances, and strangers has come about through the joy of walking with our dogs off-leash. A field of diversity. The people who use the field and the beach make up a diverse group that parallels the city at large. Couples, singles, college students, young children, people in wheelchairs, joggers, elderly people, parents pushing baby carriages — they are all at this beautiful park everyday, rain or shine. This is the Lighthouse Field community. All of these people, diverse in many regards, have formed a familiarity, a connection and community out of the common enjoyment and pleasure of walking in the open with their dogs. The Field is also the only wheelchair accessible park where people with physical limitations can enjoy an open-space trail setting with their dog off-leash. Urban space for an urban community. Animal experts recommend off-leash exercise as the most humane and best exercise to maintain the physical and behavioral health of dogs. Medical doctors give us humans similar advice regarding regular walks and fresh air. Lighthouse Field and Its Beach are unique to the extent that they are centrally located, have numerous access points, with convenient parking. In this setting, a person can arrive before or after work, enjoy the outdoors and wonderful views while providing their dog with healthy off-leash exercise at the same time. It is the rare individual these days who can afford an hour walk in a large open park plus another hour at some other place so their dog can exercise. This is the only location in the city that allows people to combine these activities. Peer influence. Most community members set good examples of cleanup and behavior, and this has a positive influence on other users. Friendly and informal peer pressure and good examples of pet ownership help keep the park clean and peaceful. Last year, Friends of Lighthouse Field, in conjunction with Parks and Recreation, held a community meeting at Louden Nelson Center to talk about dog training, appropriate behavior in the park, and how to better understand how dogs relate to other dogs and to people. There have also been other events, radio shows, and planned public service announcements and other activities to encourage and education dog owners and the public about these issues. Eyes and ears. Because of the regular use of the park, the community has become the “eyes and ears” of the park. In many urban parks, there is some pressure to clear brush in order to remove hiding places for drunks, drug users, sexual predators and the like. Lighthouse Field has not been heavily cleared and yet it remains one of the safest and cleanest parks in the city system. Paths hidden by trees and shrubs remain safe because of the frequency of the dog walkers. Because citizens freely use all of the trails, negative behaviors can quickly be reported and responded to by the police, park rangers, Animal Services or other agencies. The morning and afternoon presence of this protective community is most certainly a deterrent to human compliance issues that might increase if this positive community were driven out. Positive influences at the Beach. We believe the same positive influences exist at Its Beach. Unlike the Main Beach or Natural Bridges, there are no lifeguards or other supervision. Its Beach has experienced some trouble with drinking, fighting and similar behavior. But during the 4pm to sunset off-leash hours, the beach attracts increased numbers of responsible community members. Their presence helps to maintain a calm, family-safe atmosphere at Its Beach. History of Community Participation. Lighthouse Field and Its Beach have benefited from a high degree of community support. The park itself was saved from planned destruction by community involvement almost thirty years ago. In recent years, the dog owners who use the park have developed into a close-knit community who know each other, regularly socialize in the park in a quiet way, organize community events such as informal holiday celebrations in the park, and who all cherish the park and beach. With only the most informal organization, community members have organized protective actions such as periodic park cleanup days, flyers and posters for compliance reminders, and replenishing plastic bag supplies. Formalizing the community: Friends of Lighthouse Field. On March 28th, 2002, out of rumors and concern about the loss of this wonderful place to take dogs off-leash, friends and acquaintances from the Lighthouse Field and Its Beach dog community decided to form a more formal organization to express their views and concerns, dispel rumors and provide a unified voice that would represent the basic desire to maintain the undeveloped beauty of Lighthouse Field and support multi-use recreation at the site which includes off-leash dogs. A community meeting was held to create a simple, unifying statement of purpose for the group: “We support the preservation of the beauty and recreation opportunities for humans and dogs off leash at Lighthouse Field and Its Beach” now has over 2500 people who agree with this statement. Environmental Stewardship. The FOLF steering committee members are excited to move forward with the City Council and the Parks and Recreation Department to form an alliance and bring greater “environmental stewardship” potential to the Field and Beach. When a community is as cohesive and energetic as FOLF, it is a natural next step to have even more direct involvement with city departments to address and assist in pertinent issues such as clean up, compliance and safety concerns. We are proposing that we begin FOLF’s “Community-based Park Conservancy and Dog Use Plan” (see www.folf.orgfor a copy) as a starting point to address some of these issues. 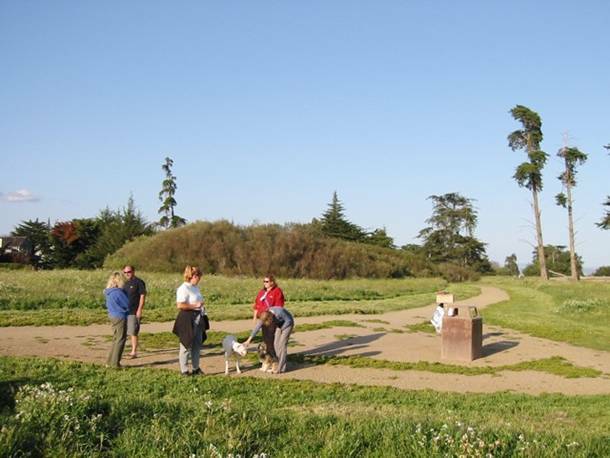 The plan was written by members of Friends of Lighthouse Field in the summer of 2002 and presented to the Santa Cruz Parks & Recreation Commission as a collaborative plan to help educate, maintain, and provide a proactive framework to manage the off-leash dog recreation. Continue the tradition and secure a community to benefit the city. The strength of a city is in the bonds that exist within its smaller communities often brought together by geography, culture, or in this case a common recreational activity. By continuing the tradition of off-leash dogs at the field and beach, you secure for the city a strong, friendly, established and diverse community of people. Collaborate and communicate. Continue to collaborate with FOLF to extend the community outreach and education about public safety issues and responsible dog ownership, park stewardship. With budget cuts and staff layoffs, FOLF members are willing to step up to help with the care and preservation of this undeveloped space. Partner with FOLF to create formal docent programs and communication opportunities. Keep the trails and beach open. With many users frequenting the nooks and crannies of the park, there are fewer opportunities for criminal behavior. For the same reason, when there are people congregating at the beach for shared recreation, there is a different atmosphere so fights, drinking, and drug use become visible to a group that will actively report the behavior. Leverage the presence of this community to discourage negative activity and keep these spaces safe. Consider the expansion of hours and space for off-leash dogs. Those who do not want to share open space with off-leash dogs have about 1,800 acres within the city limits to choose from. People with dogs have approximately 40 acres. There is clearly an expressed need to expand this type of recreation. Ignoring this need does nothing to inspire or plant the seeds of community that can grow out of a common interest as has been demonstrated at Lighthouse Field and Its Beach.